With the start of May just around the corner – and four months under our belt – we are 1/3 of the way through 2012. How did we come up with them? We simply followed a few simple rules. First – we wrote out our own lists of what we thought should be the 30 goals. No talking, no peeking and no co-conspiring on the lists. We then each ranked our 30 goals in order of our perceived importance. The goals could fall under 3 categories. 1) Items we would like to purchase for the farm. 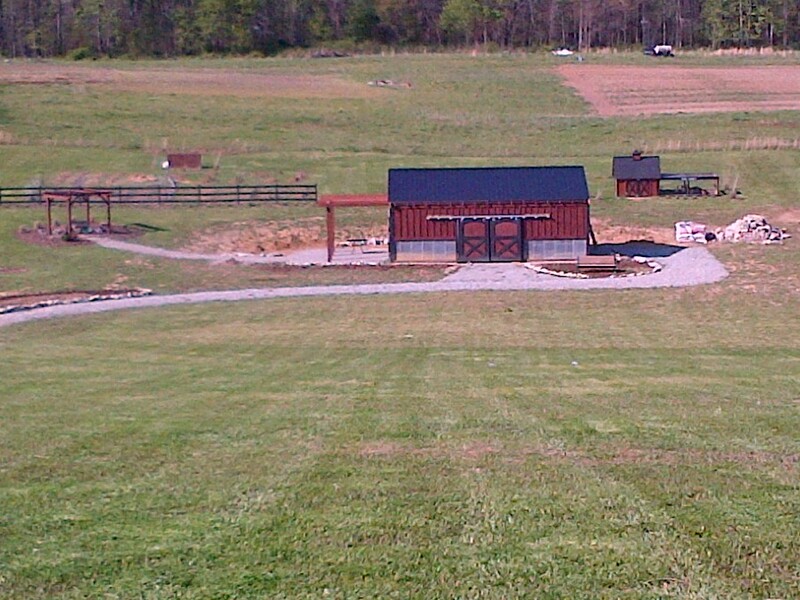 2) Things we need to build, install or create at the farm. 3) Things we want to accomplish for the farm and or pergola business. Then, we sat down and read them aloud to each other. It was amazing to see how many items on the list we both had – and how close we were to the importance of the items. Each of us had written down a few goals the other had not – and so we worked together to come up with the best combined 30 goals -and a plan to attack them together. 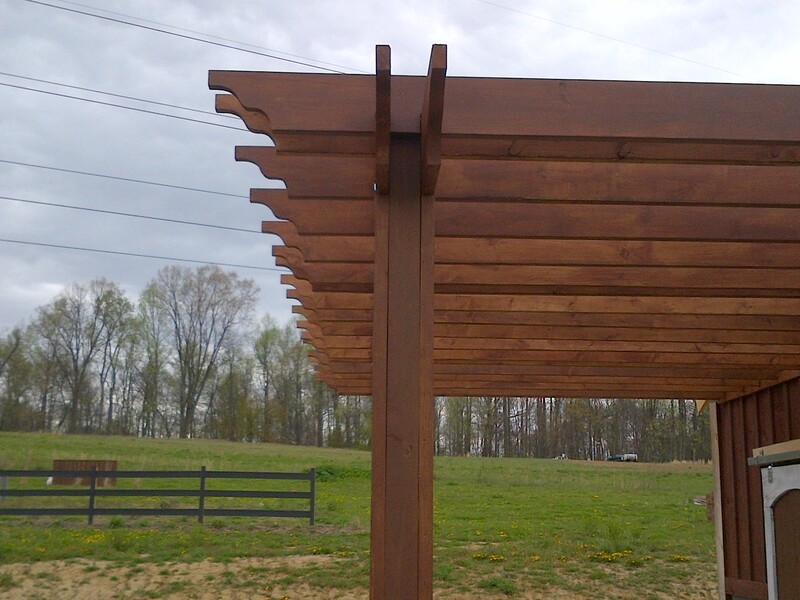 #7 on the list…the barn pergola. Some might question the need to number – but I think it is a great way to be honest with yourself about what really needs to be done. Everything becomes clearer when you have it in bold print in front of you. We posted it on the fridge – right where we would both have to look at it every day – and be reminded of what we need to do. It’s good to have goals – It’s good to have them in print. It is amazing how much it helps keep your eyes and efforts focused on the future. We both know if we can accomplish those 30 goals this year – that the farm is going to be on track and getting where we need it to be. So – how are we faring 1/3 of the way through? So far so good. We just crossed off #12 – so were 2 goals ahead of the 10 we need to be on pace at the end of April. And we have about 4 more of the goal projects already in progress, and at varying stages of completion. But we both know with prime gardening season approaching and pergola season in full swing – it will get tougher and tougher to complete. It is amazing to both of us how much “The List” has helped – and it’s been great for the kids as well to see how important it is to set goals and work to achieve them. It’s funny to see them look down at the list or ask if we are still on pace. So happy 1/3 of the year! And here is to hoping your on track to accomplishing all of your hopes, dreams and goals in 2012 as well!